Managing a public sector organization is a highly complex task involving multiple stakeholders coupled with informational and resource material flows. Decision making in such complex tasks, for example heath-care system, presents challenges. On one hand, the complexity of public sector organizations does not lend itself well to real-world trial and error approach. Practical, political, and/or ethical constraints often restrict any experimentation with many real-world phenomena such as medical decision-making, hazardwaste management, climate change, and so forth. On the other hand, most of the real-world “decisions and their consequences” are hardly related in both time and space, which makes learning even harder to occur (Hogarth, 1981; Sterman, 1989). 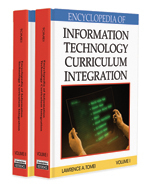 Recent advancements in computer technology, together with developments in system dynamics simulation methods, provide a potential solution that involves design and development of the decision support systems to aid decision making in complex public sector systems (Qudrat-Ullah, 2005). In this paper we argue that system- dynamics-based interactive learning environments (SDILEs) could serve as an effective decision support system for public sector management. Dynamic tasks: These are the tasks where (i) series of decision vs. a single decision are made, (ii) the decisions are interdependent, and (iii) task systems variables related through feedback processes. For instance, managing a health-care facility, emergency decision making, and managing of ambulance fleet are all dynamic tasks. Feedback process: In a feedback process, when a decision is made, its “outcome” is made available to the decision maker that, in turn, will make the new decision, and the cycle continues until the objective is achieved. Task system: It consists of resources and policies within the boundary of the problem to be solved. Mental Model: The concepts and constructs about real work things we have in our heads are called mental model. For instance, people do not keep a “car” in their heads, but a mental model of it. Scripted: It means the facilitator delivers only written, prior to the debriefing session, comments. Adequate representation: It (the simulation model) includes all that matters in a particular real-world decision making problem situation. Decision makers: It refers to the policy decision makers.